Industry experts hail the arrival of a new qualification that sets out not only the “why” but also the “how” of incident investigation. NEBOSH HSE Introduction to Incident Investigation supports learners and their organisations to end the cycle of incident-and-repeat by carrying out effective investigations and acting on the findings. The new one day qualification emphasises that investigations should focus on learning rather than blame. On 30 April, NEBOSH and the Health and Safety Executive (HSE) will launch a new Award-level qualification on incident investigation. Designed to support individuals tasked with carrying out non-complex investigations, NEBOSH HSE Introduction to Incident Investigation will give learners the skills they need to conduct an investigation unaided, and then produce and implement an action plan to help prevent a recurrence, or a more serious incident. While many employers investigate incidents, the quality of incident investigations varies – with incidents frequently attributed to “human error” while factors such as culture, training and work pressure are overlooked. Too often, investigations either fail to identify all of the causes of incidents or they focus attention on the individual involved. As a result, the opportunity to review work methods and improve risk controls may be lost. The new one-day course covers the moral, legal and financial reasons for carrying out effective incident investigations; the benefits of incident investigation; human and organisational factors; the process of investigation, including gathering and organising evidence and identifying immediate, underlying and root causes; interview technique; understanding the significance of bias and blame cultures. The qualification includes an innovative end-of-course assessment in which learners are asked to analyse a case study film and identify poor and good practices in interviewing techniques. The potential benefits for organisations include safer working ‘methods, more effective control measures and reduced incident rates’. The syllabus has been designed to help learners and organisations ensure that near-misses and minor incidents – such as slips, trips and falls – become “learning events”. “If minor incidents and near-misses are investigated well, organisations could potentially prevent more serious or catastrophic incidents happening,” says Jill De Nardo, Head of Commercial Training at the HSE Training and Events. “Investigating incidents helps you to identify trends and ensure your control measures are effective. The NEBOSH Introduction to Incident Investigation qualification is aimed at those who conduct investigations, such as supervisors and line managers, and it is a stand-alone qualification: learners don’t need to have completed any other specific qualifications or training to attend. Steff Williams was one of a team of industry experts involved in the development of the qualification. Steff’s belief that companies often miss the opportunity to learn from incidents – not only to prevent a recurrence of a similar event, but also to sharpen employees’ awareness of hazards and risk – meant he was keen to be involved in the development of the syllabus for the new qualification. Sonoco is a global packing specialist, headquartered in South Carolina in the US. They manufacture products as diverse as cable reels, sewing machine bobbins, the packaging for Duracell batteries and the cans for Pringles, and even containers used to transport live organs. Steff is responsible for four paper mills and 30 conversion plants across 16 countries. “I get asked to be involved in various projects, but this is one I made time for because it’s an area that is so important. As an organisation, if you have an injury or a serious near-miss, the least you can do is learn from it. “I’ve seen some incident investigations where people haven’t even scratched the surface,” he says. “In other cases, there’s a temptation to blame the employee involved: dismissing someone’s actions as ‘stupid’ or questioning why they did something. The reality is, of course, that no one gets up in the morning thinking that today they’re going to act irresponsibly and risk an injury. When there’s an incident or near-miss, there’s never one cause: there may be behavioural factors, organisational factors, and environmental factors. Steff believes the new qualification is “pitched absolutely at the right level”, containing the necessary detail and depth while being accessible to different roles and levels of organisational responsibility. As well as giving individuals the skill set they need to conduct effective, “learning investigations”, the qualification will be useful to organisations from a “business risk perspective”, notes Steff. Steff currently has direct reports undertaking various NEBOSH qualifications, including the National Diploma in Occupational Health and Safety, the National General Certificate in Occupational Health and Safety, and the International General Certificate in Occupational Health and Safety. “We’re big on training and I can absolutely see us using the new Incident Investigation qualification. Roger Schulp, who sat on the development panel for the new qualification, believes the new one-day course will meet a longstanding need to set out the basic principles and practicalities of investigation. “Prior to my current role at BP, I was an inspector with the HSE for more than 10 years. I saw the same sorts of incidents occurring again and again and again because organisations weren’t learning: they weren’t carrying out decent investigations, and they weren’t implementing action plans. During the development of the new qualification, Roger was clear that the new qualification should be foundational, cover the basics of the whole process and appeal to as broad an audience as possible, in terms of both job role and industry. “There are various courses and qualifications that touch on why you should investigate incidents. But how you carry out investigations has been missing for a long, long time. In oil and gas, we are fortunate in a sense because we share learning, but that doesn’t always happen in other industries. “We’re very happy with the new qualification, as we now have a ‘taster’ course for people who want to learn how to investigate better. “I’ve done lots of work with NEBOSH in the past, and I was very keen to work with them on this new qualification. Simon Cooling, who also sat on the panel, discusses that incident investigation is an important part of any organisation’s health and safety management system. “The safety and health of everyone who comes into contact with Balfour Beatty is our top priority. It is part of our ‘Build to Last’ programme encompassing a culture which is inherently Lean, Expert, Trusted and Safe. 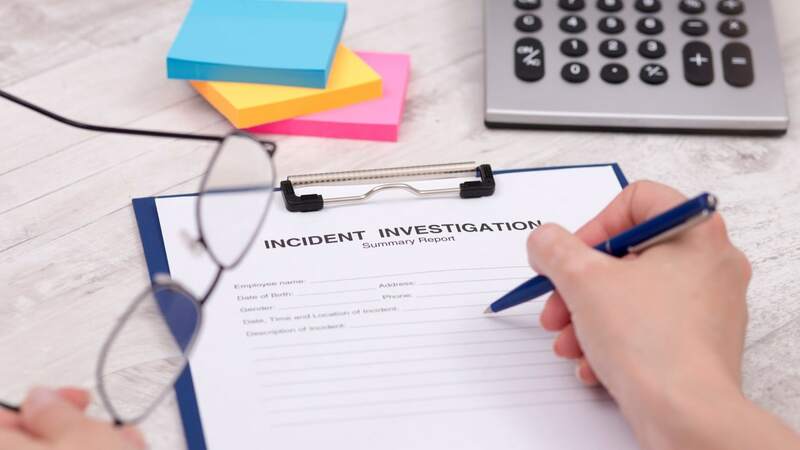 Incident investigation is an important part of any organisation’s health and safety management system as it offers the opportunity to learn from accidents and near misses. At Balfour Beatty, we’re committed to our health and safety strategy of Zero Harm meaning that nothing we do is so important that it cannot be done safely and we consider it our license to operate. “This new qualification enables organisations to have trained staff that can implement a high standard of investigation right from the start, based on the HSE’s HSG245. This not only enforces a strong organisational learning process but helps show employees and contractors that they take health and safety seriously. At Balfour Beatty we believe that our long-term success is dependent upon the ability to keep our workforce, business partners, suppliers, subcontractors, members of the public and the environment safe. Click here to find out more about the qualification. NEBOSH is a leading global brand in health, safety and environmental qualifications. Its internationally recognised qualifications help to raise the competence of safety and environmental professionals as well as individuals at all levels in the workplace. Since its inception in 1979 more than half a million people from around the world have studied for a NEBOSH qualification. Tens of thousands join their number every year studying with a network of 600 course providers in over 132 countries. NEBOSH qualifications are highly respected by governments, employers and students. They build the knowledge and skills which underpin competent performance as a health, safety and environmental professional. In 2014, NEBOSH received a Queen’s Award for Enterprise for Outstanding Achievement in International Trade in recognition of its international success.